In contrast to the gripping cliffhanger that ended the previous chapter, this penultimate episode begins with a rather uninspiring resolution. 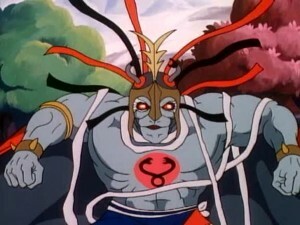 As Mumm-Ra flies off with the Treasure of Thundera, the Sword of Omens jumps to action and knocks the casket out of Mumm-Ra’s hands, scattering the treasure all over the region. 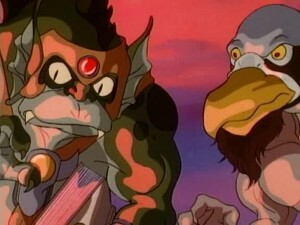 The vile villain manages to grab only the Book of Omens and makes off with it. As the book contains the secrets of the ThunderCats’ powers, their fate will be sealed once Mumm-Ra deciphers the text. 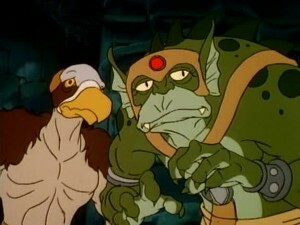 Piloting the RatStar, S-S-Slithe and Vultureman make a less than graceful landing on New Thundera. 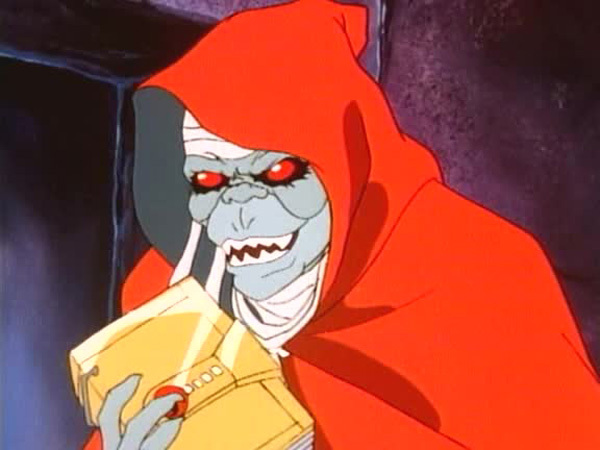 Ma-Mutt ushers the two Mutants to Mumm-Ra’s pyramid where he craftily gives them a replica of the Book of Omens and orders them to hide it. 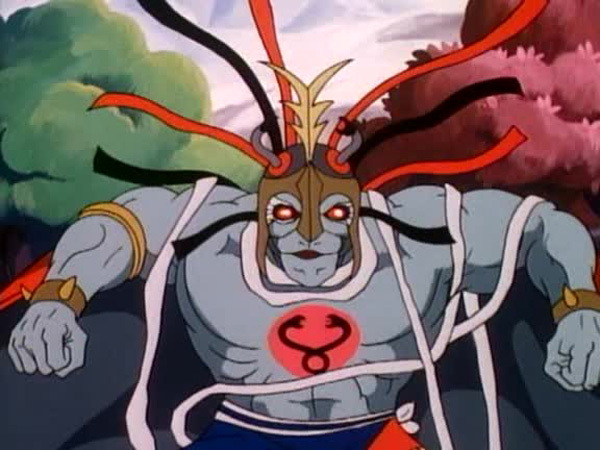 Using the powers of the Ancient Spirits of Evil, Mumm-Ra confers protection upon the Mutants to immunize them against the various environmental hazards of New Thundera before sending them on their way. 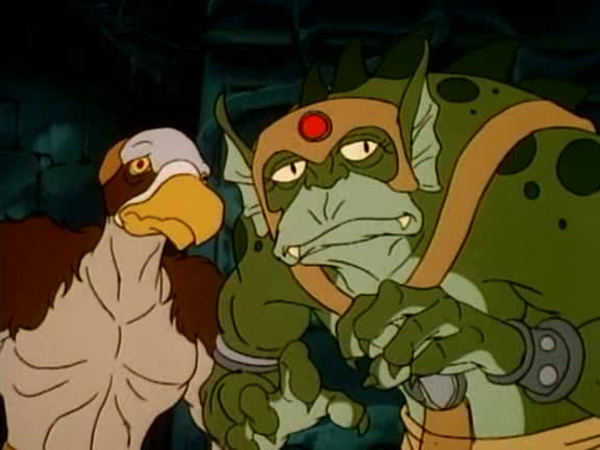 As soon as the Mutants leave Mumm-Ra’s abominable abode, they are tracked down and pursued by the ThunderCats in the Feliner. The Mutants lead their stalkers into the Caverns of Cold where the freezing weather promptly ices up the Feliner, forcing it to land. The ThunderCats, garbed in Thermal Cat-suits, continue their pursuit on foot. It is a refreshing sight to see the ThunderCats wearing weather-appropriate clothing and this small but significant attention to detail adds realism to the story. 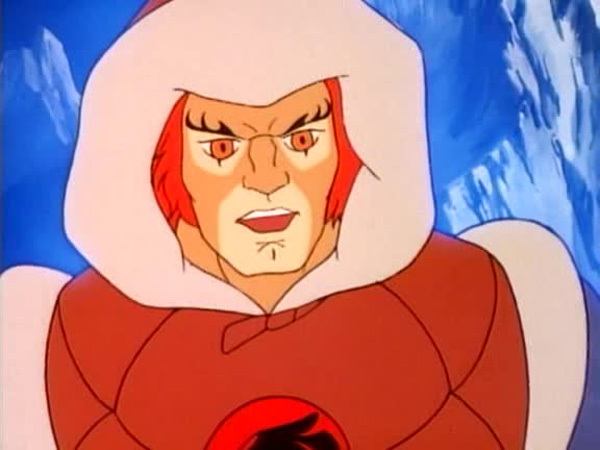 In previous episodes, whether Lion-O was burrowing into the heart of a volcano or scaling the icy peaks of Hook Mountain, he was always clad in his skimpy two piece outfit! Just on the edge of the frozen wasteland, appears a lush paradise of colorful vegetation. 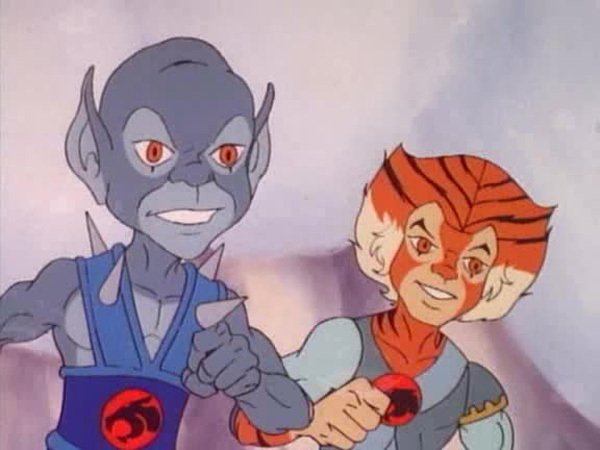 The ThunderCats seem to be intoxicated by the beautiful sight and run towards it laughing and giggling mischievously. 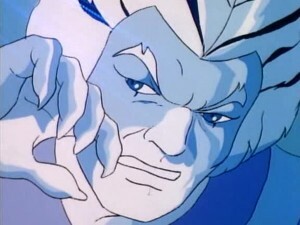 Lion-O however remains apprehensive about this seemingly harmless utopia and his fears are realized when the ThunderCats suddenly start growing younger. The Sword of Omens protects Lion-O from the detrimental effects of these Canyons of Youth but the rest of his comrades, including Snarf and Snarfer have regressed to their childhood. The ThunderCubs, having no memory of their adult lives, are completely oblivious to everything that has happened so far. 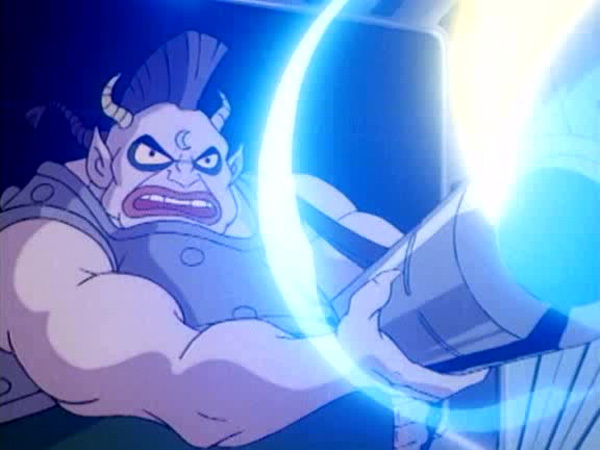 Lion-O tries to explain the situation to them and borders on losing his temper but quickly checks his frustration. 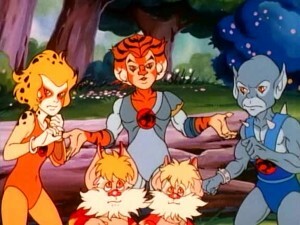 It is an amusing sight to see Lion-O and the other Thundercats switch positions. 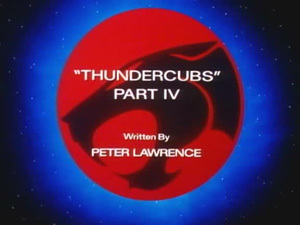 Before, it was Lion-O who was young and immature while the other adults guided and educated him, but now it is his turn to play the parent to the ThunderCubs. 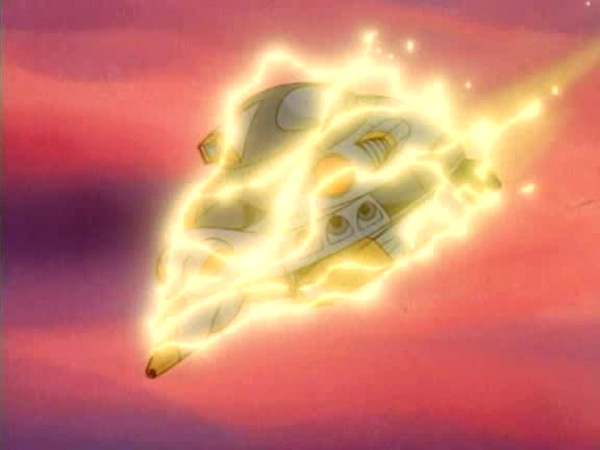 The Sword of Omens shows Lion-O that back on Third Earth the combined forces of the Mutants and the Lunataks have attacked the Cats Lair and the Tower of Omens, imprisoning the remaining ThunderCats. In what appears to be the worst parenting decision ever made, Lion-O sends the ThunderCubs alone to Third Earth in the Feliner to assist their captured friends. 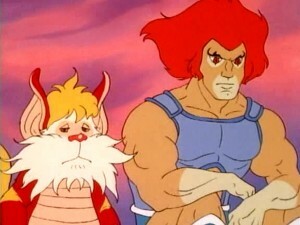 The now kitten Snarf, instinctively chooses to stay behind with Lion-O and assist him in his quest to locate Mumm-Ra. 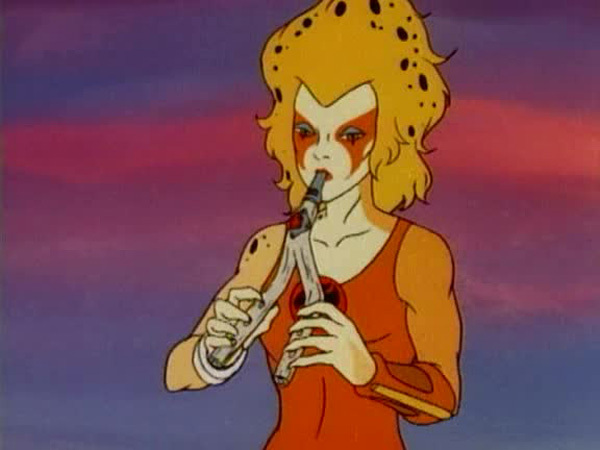 In this episode we see another piece of the Treasure of Thundera, a magical flute which gives its player complete control over any animal that hears its music. Ma-Mutt displays his own magical powers when he encapsulates himself, S-S-Slithe and Vultureman in a ball of light in order to escape from the ThunderCats.